If you’re looking to enjoy a romantic getaway with a loved one, why not consider a holiday in Barcelona? They may say that Paris is the ‘City of Love’, but Barcelona is the ‘Capital of Romance’, and it has fast become a favourite holiday destination for lovers from across the globe. 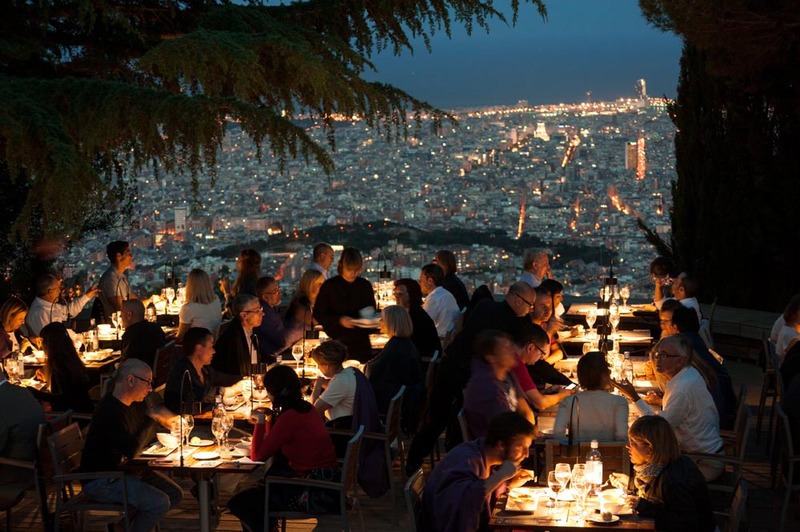 There are plenty of romantic options in and around Barcelona for a night out for two. First, opt for booking a villa with private pool in Spain for the ultimate in luxury and relaxation, followed by a dinner underneath the stars at one of the city’s most romantic restaurants. ‘Dinner With Stars’ (or Sternalia) isn’t a restaurant, it’s an experience. Taking place in the summer months, availability is limited as couples from all over the world flock to Barcelona to enjoy this unique outing that includes fine dining with a view of the solar system. While cooking up a romantic dinner at your Barcelona villa is certainly a wonderful option, nothing quite beats the incredible experience of Dinner With Stars. The Dinner With Stars experience takes place at the Fabra Observatory. Built in 1904, it is one of the world’s oldest working observatories, and the 32P/Comas Solà comet was actually discovered here. Located on Mount Tibidabo, the observatory is easy to reach from most Barcelona accommodations. All dishes at the Fabra Observatory are themed and take on galaxy-related names. Some of the top choices include the ‘Star Nebula’ salmon, and the ‘Textures in Cosmos’ beef tenderloin. If you’ve booked a family villa in Barcelona and have brought the little ones with you on your romantic getaway, you’ll be pleased to know that there’s also a great children’s menu here, with macaroni, French fries, and ice cream! Whether you have the kids in tow or it’s just you and your beloved, the experience is an unforgettable way to celebrate your love.